When I heard this book was inspired by A Thousand and One Nights I knew I had to have it. I’m so happy that this book did not disappoint and will be added to my shelves as a favorite. The story begins with a prologue that sets up some of the mystery behind why the Caliph, Khalid, has his new bride murdered every dawn. I was immediately captivated. Ahdieh wasted no time in throwing us into the story and having Shahrzad thrown into the palace and danger. 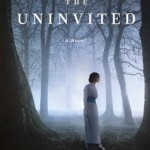 The book was beautifully paced and kept me riveted and tense. The setting was absolutely breathtaking. I had to break while reading it to do some research on Khorasan and A Thousand and One Nights. I needed to see pictures, read more and educate myself about this area. I love when a book can pull me that deep into the setting that even while I’m not reading I’m thinking, researching and seeking more knowledge on the location or topics presented. Ahdieh was more than capable at painting the scenes with her words and really had me completely immersed. I could picture the palace, clothing and landscape clearly. I wasn’t sure when starting this book if it would have any magic or fantasy and I’m so happy that it does! It was small tidbits, magical realism, but beautifully incorporated. It’s so hard to describe how much I enjoyed this storyline. 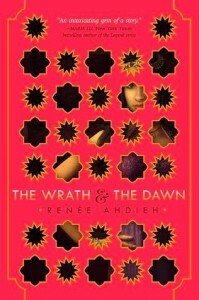 Not only did The Wrath & The Dawn have a beautiful setting and intense storyline the characters were multidimensional. Time was spent to give the reader a sense of the main character, Shahrzad. I immediately respected and liked her; I wanted her to succeed and felt fear for her when she was caught up in sticky situations. She was a bold personality that was brave, smart and loyal. She wasn’t perfect by any means though and I felt that she was very relatable. Khalid on the other-hand was more of a mystery. The reader isn’t certain of his motivations right off and we learn of him as Shazi does. I felt that I had a sense about him that I was able to prove as I continued to read. I loved that he was given grief, guilt, anger and so many other emotions. He was very complex and complicated which made him a favorite of mine. All of the characters dealt with their own personal demons, motivations and guilt. I thought that Ahdieh did a brilliant job in giving all of her characters immense depth. The Wrath & the Dawn became an instant favorite and I’m so eager to read the sequel because wow…what a strong world, story and amazing characters. I’m in love. Look for my interview with Renee next month! You can see more covers redone in Lego here. What a wonderful, epic review for what sounds like a wonderful, epic book. Also, I cannot express enough how much I love your Lego covers. They are so cute, and utter perfection! I want you to have a copy! I can’t wait until it releases so everyone can (and will) read it! And thank you SO MUCH for Lego cover love! They are so time consuming but so worth it. OOH, 5 stars! I’m extra excited now! I love that it’s inspired by A Thousand and One Nights. Glad that this book was a winner for you!! Thanks for the great review, Kristen! Yes Cyn! I hope you love it. I thought it was such a beautiful book and so well done. OOoh nice review! I was curious about this one myself and it’s pretty much a given that I must read it! At some point! LOL! Fantastic review! I hope you love it Jessica! I really think you will because it is just so well done. YES! YES! YESSSS!!! I’m so bloodydamn excited for this one!! And seeing that you give it 5 stars?!? I’m even more EXCITED!! I feel like I should take the time before my preorder arrives to read 1001 Nights the original tales! YES PILI! I CAN NOT WAIT FOR YOU TO READ IT. I’m so happy to hear its good ^^ this is definitely one book I’m going to read on my TBR pile, especially if it has multidimensional characters!!! I hope you loooooove it Angelina! I finished this book last night and I loved it! I stayed up late reading it and, honestly didn’t want it to end! I’m kind of sad now, though, that I have to wait for the sequel! Right!? I was so sad when it ended because ah! It was so strong throughout and I need to know what happens next! Oh yaaaay I’m SO pleased that this is as epic as it looks! One of my favourite childhood books was Shadow Spinner, which is the same tale, I guess? Of Shaharazad? (Omg now idea how to spell that. >_<) But I looooved it and I've always secretly wanted to read another version. sQUEE SO EXCITED FOR WHEN IT'S RELEASED. I don’t know Shadow Spinner but now I’m so curious! And I have no clue how to spell her name so Shaz it is. I absolutely cannot wait to devour this one! It sounds SO SO good! I think you will really enjoy it Jess…us being book twins and all. So close to release date! Carina you must read it immediately and tell me your thoughts. LOVED THIS BOOK! I’m so glad you did too! We need a satisfying sequel, eh? The Rose and the Dagger will be awesome, I hope! I’ve yet to see anyone not love this book! It was just so well done. And yeeeeess can’t wait for The Rose and the Dagger. YESSS! I LOVED this one as well. I wasn’t expecting to like it so much, but Shazi and Khalid and all that deepening tension between them, was just brilliantly written. And such a sensory book with the setting too. Great review! Looking forward to your upcoming interview. 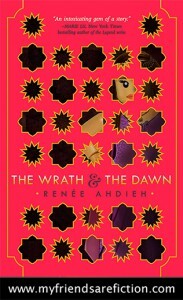 I have this ARC sitting on my pile…..I really like the trend I see that’s using Middle Eastern mythology. It looks good! 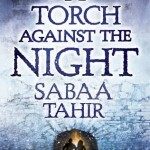 I am dying to read this book!I read The Thousand and One Nights -(a slightly milder version of it) long ago,when I was just 11.But I can still remember how much I was fascinated with the stories.And I am so happy that this book didn’t disappoint you!I can’t wait to read it myself.